Group photograph: Margaret Alderson, Jack Alderson?, Fred Alderson, Tom Pickles, Charlie Baldwin, Tom Clarke - gamekeeper. 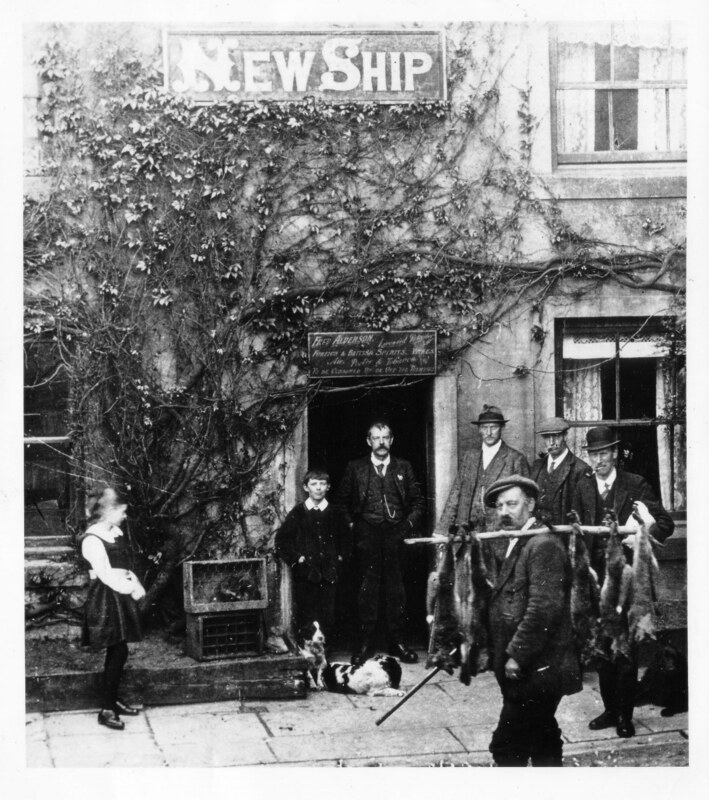 The girl in the photograph can be seen in later photos of Skipton in front of the Ship Inn with a fox draped around her neck. This fox was not dead but tame. This lady would later be known as Margaret Beck by marriage. In later life she was called upon by Skipton vets to calm animals down before they had an operation.